I spent the day in San Francisco with Nicole and catching up with old college friends. 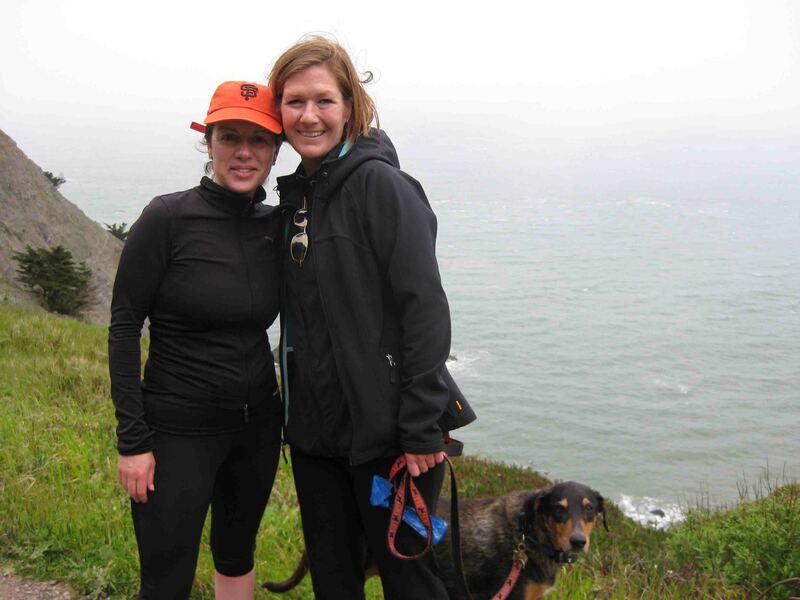 We met my friend Beth from college to walk the Lands End Trail which offered a beautiful ocean view. Had it been a clear day, the view would have also included the Golden Gate Bridge and the Marin Headlands. None the less, it was still magnificent. It was hard to believe such remote beauty stood just on the edge of an enormous city. Dogs were allowed in the park, so Petey was able to join us, but he just seemed off. It’s been my experience that dogs on steroids generally want their breakfast. Petey usually devours his, and he passed his up this morning, which can be a sign of an acute episode of Addison’s Disease. Given his symptoms, I decided to give him his shot a few days early in hopes to perk him up. I had a slight panic attack after I administered his shot into his muscle and saw blood. Nicole can attest to my exact words, but I thought, “Oh no, I hope I didn’t hit a vein.” According to google, hitting a vein requires immediate medical attention…there was an emergency vet three blocks from Nicole’s loft. In triage, it became clear that I only nicked a capillary in the skin after administering his meds, so no harm done, but he still wouldn’t eat, so we got to spend most of the afternoon waiting on tests which disrupted meeting my old college roommate a little. She had to come hang out at the vet! 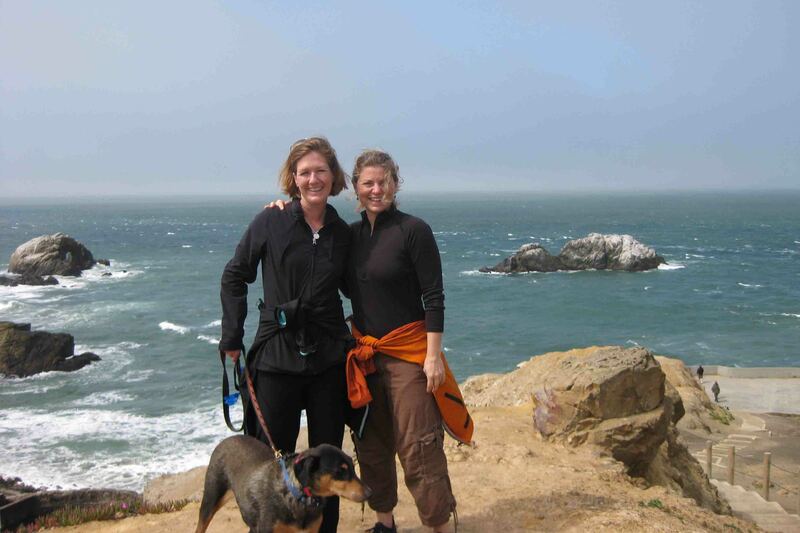 Catie lives in Half Moon Bay with her husband and three kids. 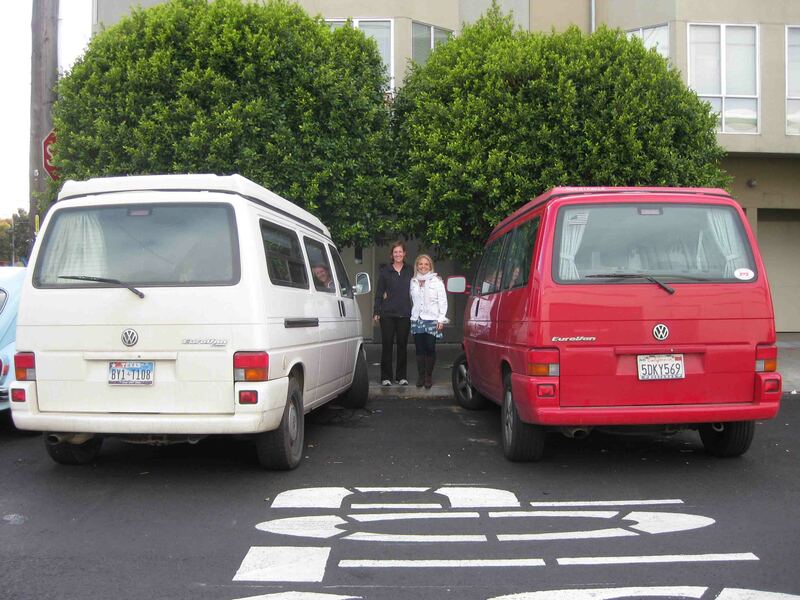 She sings in a band and owns a Eurovan, so Big Red and VANilla got to meet. I wish I could say we met in a more interesting place, but not so. At least we got to catch up…so fun! We left the vet with an unclear diagnosis while waiting on more labs to return tomorrow…we’ll see. Nicole, Kyle and I had planned on one more night out, this time to celebrate Nicole’s birthday six weeks early, but Kyle was sick, Nicole was getting sick, and Petey was feeling puny too, so we ordered two salads and a pizza and watched a movie. It was a nice, low key evening. I’m so sorry to hear your plans got derailed. And, to hear that Kyle and Nicole, along with Petey, are feeling puny. Kisses to Petey, hope he’s feeling better!